Bristles Quality Our Bristles cut end cotton mop heads are perfect for cleaning house floors, restaurant floors, school floors, government buildings floors, hospital floors, and many more. We will leave the decision to you. We understand that cleaning floors isn't everyone's favorite thing to do. That is why we suggest turning on dirty dancing music and mop away. Imagine that the mop handle is your partner that the handle needs a nice white tuxedo before you start dancing. This is where our cotton cut end full weight mop head comes into play. We took another approach at our mops and improved them with 4 Ply white cotton for the best absorbency and toughest strength. With that in mind this cut end wet mop head features 1 inch narrow mesh headband to assist in quick drying and to better tackle stubborn dirt spots. 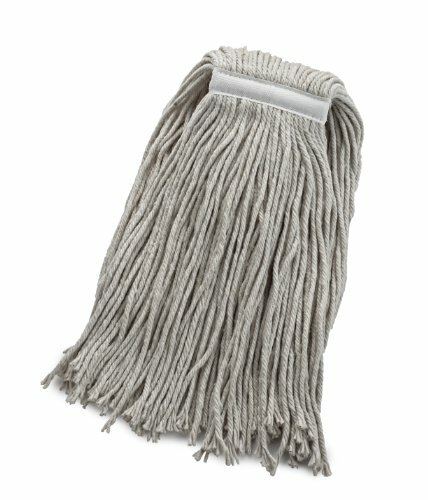 But the best part of our wet mop head is that it fits all standard mop handles. You will be dancing in seconds. Our cut end mop heads are perfect for use at home, garage, office, hospitals, government buildings, schools, malls and more. We will leave the decision up to you. If you have any questions about this product by Bristles, contact us by completing and submitting the form below. If you are looking for a specif part number, please include it with your message.